Now if I told you I was 'stark raving mad' would you believe me? Or would you grab for the nearest albatross and then force it to watch this 77 minute movie made in 1942? 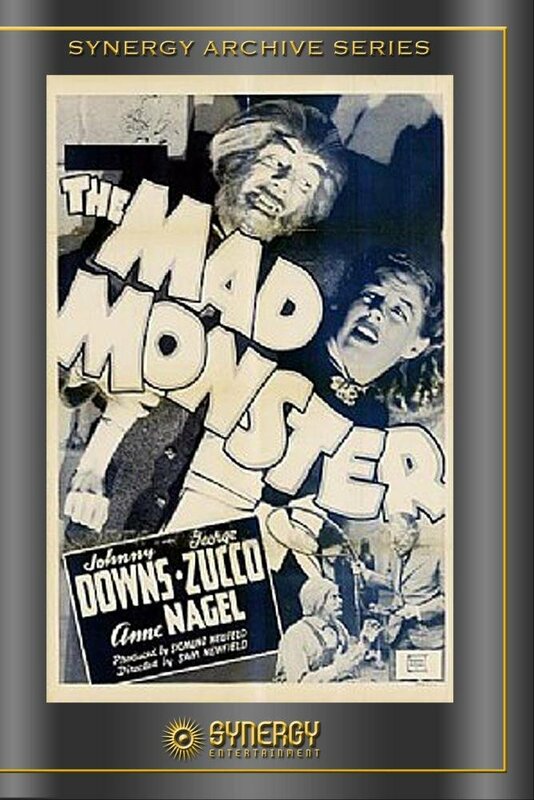 It was Directed by: Sam Newfield; and Starred: George Zucco, Johnny Downs, Anne Nagel, with Glenn Strange. Ogga-Ogga! Bing-Bang-Bong! No. Pedro (Glenn Strange). Bad-Bad, Pedro. How many times do I have to tell you never to scare the locals sh*tless by killing off one of their own? Why, do you think I transformed you into a werewolf so you could amuse yourself? No. Of course I didn't. I transformed you into this savage creature so you could track down and kill those people who did me wrong in the past. Well, as you may know, many years ago my so-called piers publicly abased my credentials by claiming I would never be able to fuse man and animal together. What's more, they also had me kicked out of the institute, and forced me to shy away to a reclusive haven with my lovely young daughter, Lenora (Anne Nagel). But they were wrong to do this, weren't they, Petro? Very-very wrong. For am I not the esteemed scientist called Doctor Lorenzo Cameron (George Zucco). And did I not use all of my scientific knowledge to siphon off the blood of a wolf and inject it into your bulbous body. Yes, I did. Didn't I! Then again, that's most probably why what next transpires all screams blue murder when Lenora's boyfriend Tom (Johnny Downs) does some snooping around. As a professor seals his own fate - always remember to shut the garden gate - another death leads to a devilish blur - and at the end of the day, hey pal, can you smell burning fur? 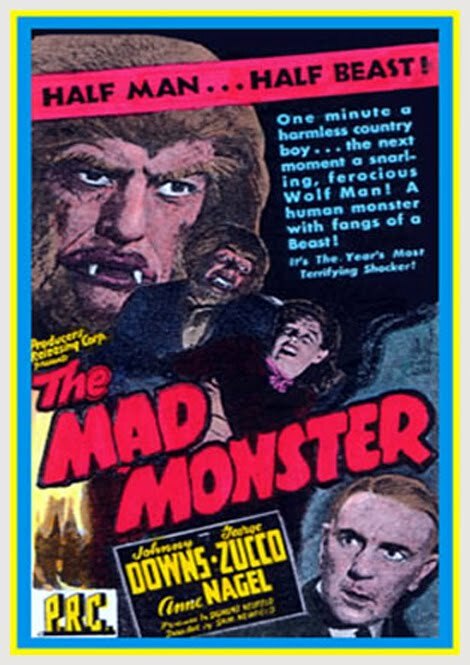 In essence 'The Mad Monster' is one of those old black and white horror films where a mad scientist transforms a man into a savage beast, just so he could then instruct this creature to kill... well... whoever takes his fancy, really. Granted, as a story goes this one wasn't a bad one to watch. As it did that thing where its main protagonist -- as played by one time Professor Moriarty, George Zucko -- kept on speaking in long and fairly engaging monologues, trying to justify to himself -- and us -- that what he wants to accomplish is the right thing to do. But let's face it. He's never going to do that, is he? From the get go you know he's a villain just by the way he speaks, acts, and generally carry's himself around. It was as though he went to 'comic book villain school' to learn this type of stuff when he was a kid. In fact, the only person I felt sorry for throughout this entire movie would be the character played by Glenn Strange, called Pedro. Now the way I see it, folks, Glenn did a pretty decent juggling act at playing two very different parts. When he was in human guise he somehow epitomized the role of George from the John Steinbeck play, 'Of Mice and Men'. And then, when he was in his werewolf guise, he channeled the late great Lon Chaney Junior from the 1941 classic, 'The Wolf Man'. Of course the prosthetic's helped a lot with his transformative performance, despite it being a bit too 'side-burn heavy' for my own particular tastes. Plus as I said before, George did emote when he really needed to emote. And this indirectly aided the plot, the wolf man character, and the idea behind this film to a somewhat more engaging level. Also, something else about this adventure which I found rather engaging was how George sneakily allowed his victims to take their own lives, without any them being none the wiser. Without giving too much away, he deviously managed to be 'somewhere else' whenever the killings would occur, and in my book this sneaky ploy gave this piece a nice special twist. Admittedly. Not so special that I was completely blown over by the rest of it. Yet it was special enough to make a noticeable impression on both myself and the actual story-line. Don't believe me? Then just check out the following filmic-facts. (1) 'PRC' first released this production in America on the exact same day 'The Battle of the Coral Sea' kicked off during World War Two. It was on the 8th of May, 1942. (2) Loosely translated, this project was entitled 'The Monster Creepy' in Brazil; 'Crazy Monster' in Italy; and 'Monster of Horror' in Greece. (3) Hailing in at seventy-seven minutes long, this flick was 'poverty rows' longest running B-movie made during the 1940's. (4) Sigmund Neufeld, who produced this film, and Sam Newfield, who directed this film, were both brothers in real life. According to Sam he decided to 'Anglicize' his surname for personal reasons. 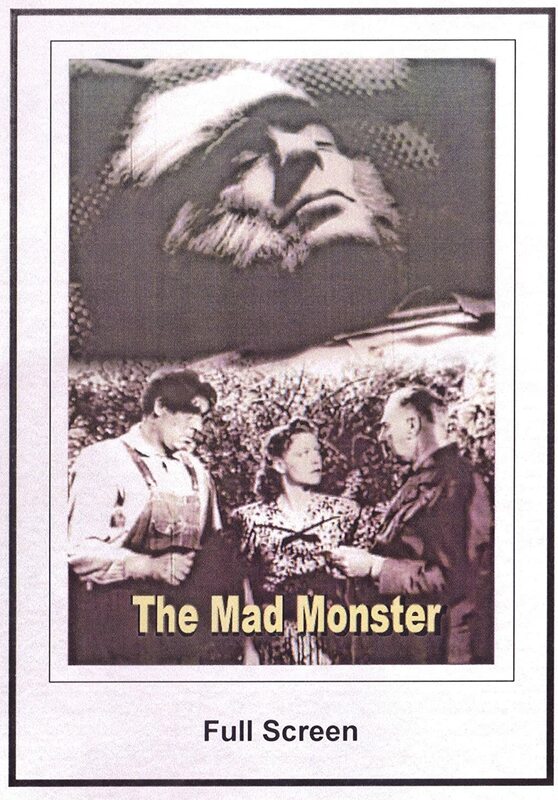 (5) Despite being released in the United States in 1942, it took British film censors ten whole years before they eventually awarded this 'horror-classic' with a cinema certificate. (6) Excepts from this movie can be seen in such televised features as 'Mystery Science Theater 3000', 'Tomb of the Werewolf', 'The Wolfman Chronicles', plus two documentaries entitled, '100 Years of Horror'. (7) The tagline used to promote this picture, was, 'The blood of a wolf he placed in the veins of a man... and created a monster such as the world has never known!'. 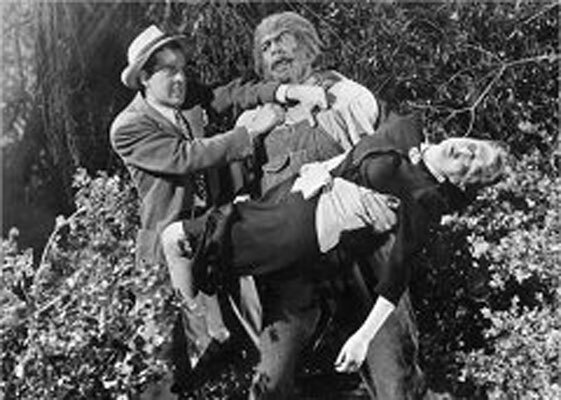 (8) After this adventure had a good old yelp, George Zucco starred in the murder-mystery, 'Half Way to Shanghai'; Johnny Downs starred in the comedy-short, 'Kiss and Wake Up'; and Anne Nagel starred in the drama, 'The Secret Code'. 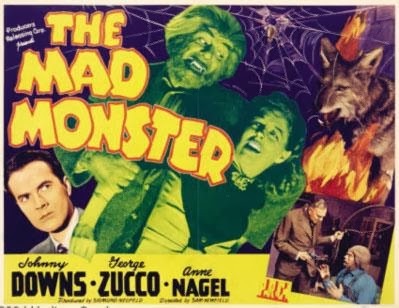 Overall I'd say 'The Mad Monster' was a fairly fine film to follow. Even though the story, the cast, and the general ambiance was very much of its time. That's not to say it wasn't as good as having your eyes scratched out by a savage beast. In a nice way of course. I think. Ha! Nuff said.